This is one of the most popular mezes, appetizers at home, featuring our beloved eggplant (aubergine). It is delicious and easy to make. Garlicky yoghurt accompanies this dish really well. 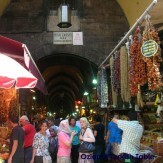 I like to add a little Turkish hot pepper paste, biber salcasi to it; it really adds a wonderful flavor. If you like to make your own red pepper paste, here is my recipe. One of the joys in life for me is to cook and eat with friends and family. 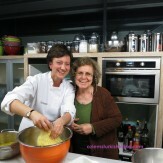 The life evolves around kitchen, children come and go and you get to cook with those dear to you, simply wonderful. We made and enjoyed this dish with friends this week; in Turkish we say “the food tastes better when shared” and it sure did. Using a vegetable peeler, partially peel the aubergine in stripes. 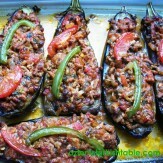 Cut the aubergine in half length ways and then cut each half into thick slices. Sprinkle salt over the eggplants and leave them aside for 15 minutes. Salt will help the moisture come out of the eggplants. Dry the eggplants with kitchen towel thoroughly (otherwise the excess water will cause the hot oil to spatter everywhere). Cut the courgette in half lengthways and then cut it width ways into thick slices. Deseed the red bell pepper and cut it into bite size pieces. You can leave the chili peppers as a whole or cut in half if they are too big. Heat enough oil in a wide pan. Sauté the vegetables in batches until they are golden brown. Lift them out with a slotted spoon and drain on kitchen towel. Lightly season with salt and ground black pepper. Alternatively, if you prefer to roast the vegetables, you can spread the sliced vegetables on a roasting tray and coat them with olive oil (about 2-3 tbsp) and season with salt and black pepper. You can then roast the vegetables in the preheated oven for about 35-40 minutes until they start to turn golden brown. On a separate pan, sauté the garlic for a minute or so with the olive oil. Add the canned tomatoes and the hot pepper paste (if you are using) and mix well. Stir in the red pepper flakes and the parsley. Add salt and pepper to your taste. The tomato sauce is ready. For the yoghurt sauce, beat the yoghurt with the garlic and season to taste with salt and pepper. Pile the hot vegetables on to a serving dish and spoon the tomato sauce over the top. Serve the yoghurt sauce by the side, accompanied by chunks of fresh bread to mop up the tasty sauce. 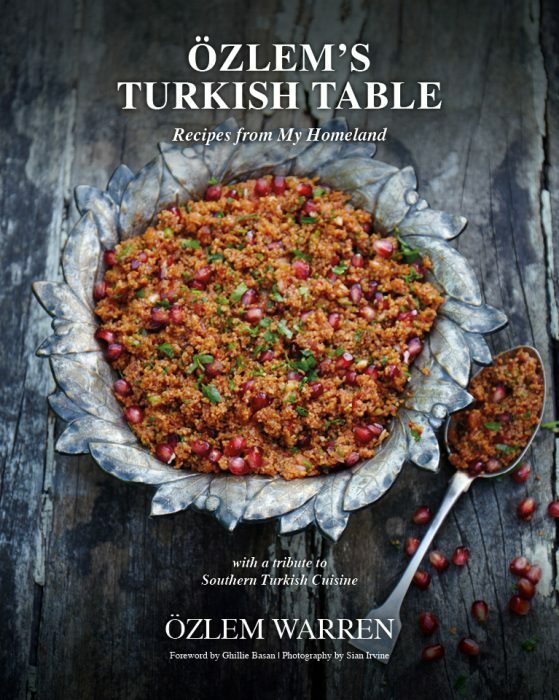 This dish looks very delicious…my Turkish husband would eat the whole dish himself…..his Mom from Izmir use to make something like this for him when he visited. Now I make it for him quite often. 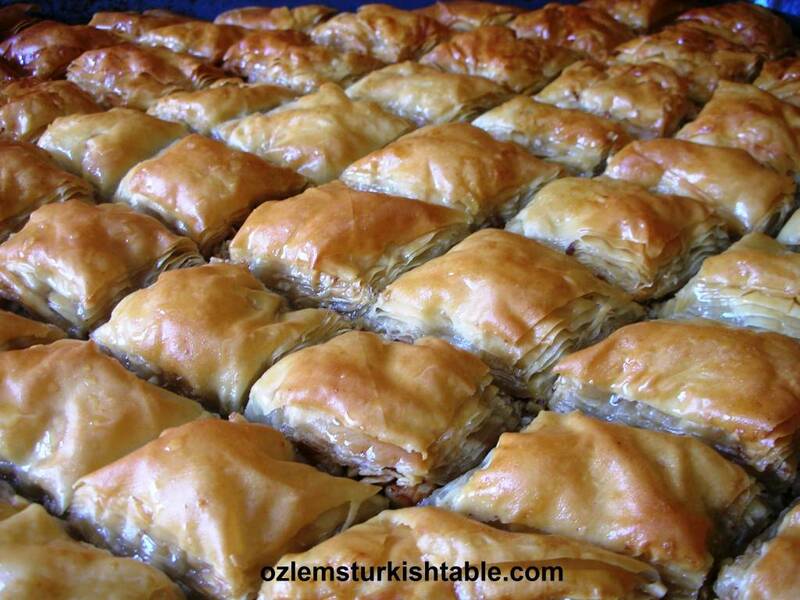 Thanks for sharing…..and I love your Blog and recipes….. if I lived in the same country I would be attending your cooking classes. I had never thought to roast eggplant for saksuka in the oven until I saw your post. I tried it last night for the first time and it worked wonderfully. Much easier and less oily! Can’t wait to share this tip with friends. Delighted to hear you enjoyed this saksuka Kristin, thanks so much for sharing! 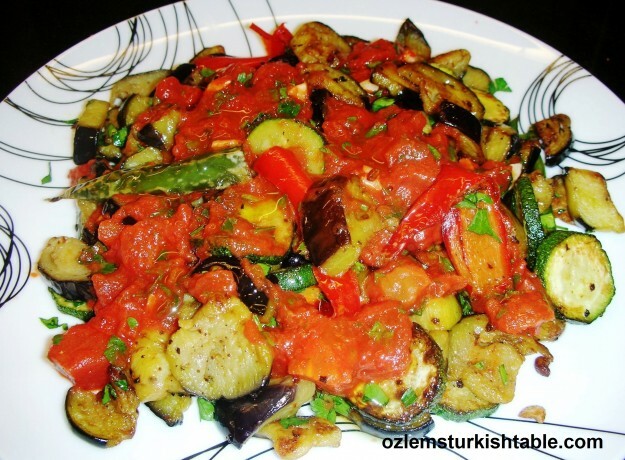 Ohh, like that you put courgettes into your şakşuka. 🙂 We love this meze and don’t make it often enough at home so thanks for jogging the memory and putting it back on our radar.